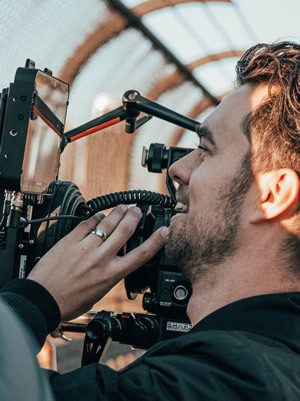 Tim Nagle is a Sydney-based freelance DOP fast becoming known both in Australia and internationally thanks largely to his work on the cult feature film hit Wyrmwood (2014) Directed By Kiah-Roache Turner. Prior to his cinematography work on Wyrmwood, Tim studied at Billy Blue in North Sydney and made his start shooting music videos, skateboarding films and branded content. Tim has managed to accrue an impressive body of work across various genres from documentary to feature films, commercial, corporate, branded content and stylised music videos. Tim is exceptionally knowledgeable across various post production platforms. He has a lot of experience in editing and motion design which certainly aids in his cinematography. Tim has a long list of happy, loyal clients including DDB, BWM, Saatchi & Saatchi, Absolute Content, Guerrilla Films & Invisible Artists amongst others. Although Tim is currently involved in a new feature with the Roache Turner brothers due out 2018, he is also largely available for any other work and loves to collaborate with new clients. Tim was fantastic to work with over our 2x day shoot. With 5x clients on set and 19x talent, Tim was thoroughly across the shot list and remained calm and professional all the way through which was much needed on set! A pleasure to work with and an overall great guy. I really enjoyed working with Tim on this shoot and other jobs that we have booked him on. Would recommend Tim for any future work in a heart beat! Tim has a brilliant eye & completely takes on a brief no matter how big or small. He’s brilliant with clients and a really nice guy to boot. I couldn’t recommend him more for his skills. Tim was great on our shoot. Good attitude and nice work. Would recommend highly.